I almost made my daughter cry. Again. Hannah and I have been reading The Chronicles of Narnia together for the last several months, working our way through each book a few chapters a week. She’s been loving it (in part because it’s concentrated daddy-daughter time). We decided to read the stories in publication order this time around, so last night we finished The Magician’s Nephew. Over the couple weeks, I’ve loved seeing Hannah’s excitement as she connected the dots between what was happening in the pages of this story and what we read months ago in The Lion, The Witch and the Wardrobe. I loved how, when we were first introduced to Jadis, she squealed gleefully, “It’s the White Witch!” I loved being able to share with her Lewis’ beautiful vision of the creation of Narnia—that Aslan sang, and life sprang into being. And seeing her get excited about Fledge growing wings, and Digory’s temptation, and so much more. And then it was over. The final sentence had been read. We were now ready to begin The Last Battle. “What’s The Last Battle?” she asked. “You mean—there won’t be any more books?” she said, with more than a hint of concern creeping in. Now, something you should know about Hannah is she is a very sensitive girl. Her feelings are always right on the surface. When she loves something, she looooooooves it. She and Emily were reading Ramona Quimby, Age 8, and when she realized they were at the end of the book, she burst into tears because it was all done. I knew I had to act quickly. Crumbs. What was I going to tell this kid that would make sense? On the one hand, she is correct. 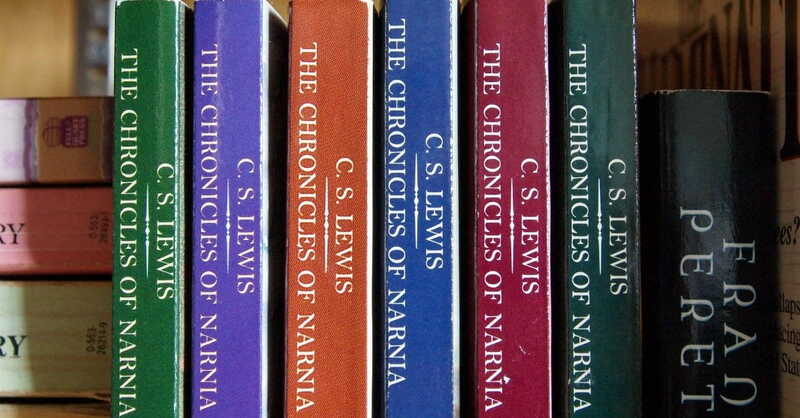 There are no more Narnia books, and there never will be. But there are other great stories for us to read together. Though I’d explained this, she seemed to need something more. This seemed to get her thinking. It got me thinking, too. See, one of the reasons I love re-reading books is remembering what I enjoyed about them the first time around—not out of nostalgia (there have been some books I’ve re-read and realized were terrible), but because I love the shape of the story and seeing how stories develop. I’m on my third or fourth read of The Chronicles of Narnia as an adult. They aren’t perfect books, by any stretch. They have a few places where they get bogged down a touch. But they’re great fun to read in part because I really love seeing how Lewis gradually built a grand and more or less cohesive narrative his first relatively simple story. But because I think about the stories, both how they’re structured, but also the important and meaningful moments of each book—whether something like Aslan singing Narnia into existence, the wonder of Lucy’s first steps into Narnia, or the ape who insists he’s a man in The Last Battle—these things all stick with me. And because of that, the story never really ends. After a moment or two, she deemed my answer acceptable. The panic was gone, and she bounced away. This article was originally published at BloggingTheologically.com. Used with permission. Aaron Armstrong is a writer, speaker, and blogger. He is the author of several books including Awaiting a Savior: The Gospel, the New Creation and the End of Poverty. His writing has been seen on Midwestern Baptist Theological Seminary's For the Church blog, The Gospel Coalition, ExploreGod.com, ChurchLeaders.com, BlueLetterBible.org, and a number of other websites. To learn more, please visit BloggingTheologically.com.